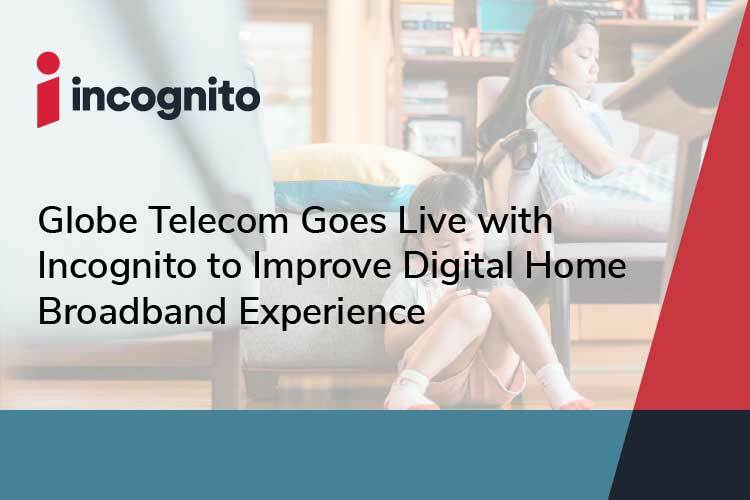 Globe Telecom, one of the largest and fastest growing mobile, fixed-line, and broadband operators in the Philippines, has revealed they will leverage Incognito’s Digital Home Experience (DHE) Solution to improve overall quality of experience for their home broadband subscribers. This announcement comes at a time when residential broadband customers expect faster, more readily available services, without any interruptions, and service providers looking to deliver these services must overcome new operational complexities in the home Wi-Fi network and rising operational costs. By directly addressing the service quality challenges associated with complex, multi-device home Wi-Fi networks, Incognito’s solution enables Globe to stay in line with their digital transformation strategy of improving overall customer care and home user digital experiences, and reducing operational costs. The Incognito DHE Solution will equip their network operations and customer care personnel with actionable network intelligence to better understand network performance and resolve home connectivity issues faster, while also empowering end users with the tools to make changes and proactively resolve issues in the home network on their own. To support the company’s growing global customer base and business growth, Incognito also announced it will be expanding international operations through a couple of key initiatives. The expansion includes the opening of a new satellite office in Ottawa, Canada, and an amplified presence in the Philippines with additional professional services and support personnel. Since its launch in April, Incognito has generated tremendous momentum around the solution by inking deals with Orange Moldova and multiple triple-play broadband providers in Europe and Latin America to boost customer satisfaction and deliver tangible operational enhancements. To read the full Globe customer announcement, click here. To read the full Incognito expansion announcement, click here.